The first type of virtualization in our list is Server Virtualization/ Compute Abstraction with VMware vSphere wherein ESXi is installed on our bare metal hardware (Dell, CISCO,IBM) and helps us to abstract the underlying hardware resources (CPU + Memory) and we provide these resources to our resource consumers aka Virtual machines. When it comes to management of ESXi and Virtual Machines and to avail all the important features provided to us with VMware vSphere like HA, DRS, vMotion we make use of vCenter Server which can be installed on Windows Machine or can be downloaded as preconfigured virtual machine running with SLES. VMware vSphere is something which we have been using for quite a long time now and based on my personal experience, I have seen a lot of environments where we are not availing the full features within VMware vSphere and most of the times the VMware Administrator are not too sure about how to implement/use these features, I understand the fact maybe those features are not worth to use it in your environment but being an administrator you should be aware about those features because you never know what could be the next requirement within the project which may ask you to try/use one of those features. 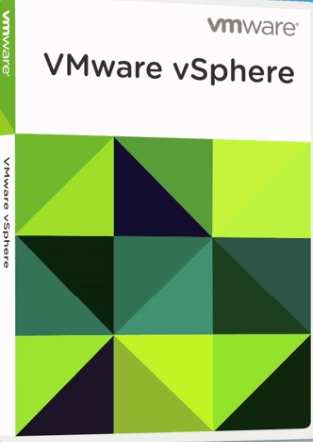 Would recommend to follow VMware Product Documentation which is one stop shop for all the documents you need, be it Networking guide, Storage Guide, Security Guide. Key thing to understand when discussing the concept related to Virtualization is abstraction and pooling with VMware vSphere we have seen how ESXi helps us to abstract the underlying compute resources so as we can provide those resources to Virtual Machines, it’s time to elaborate the same concept of Virtualization towards another component i.e Storage wherein will be abstracting the underlying Physical Hardware storage resources and pool them together. 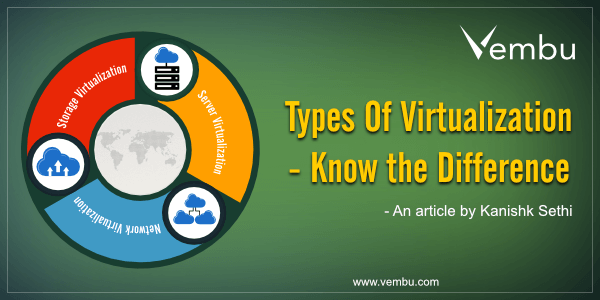 Yes we are talking about another VMware Product which is quite popular these days i.e VMware vSAN which helps us to abstract underlying HDD’s and SSD’s to create a logical entity known as DISK GROUP on each ESXi hosts which can be used further for creating a shared pool of storage resources known as VSAN Shared aggregated datastore. 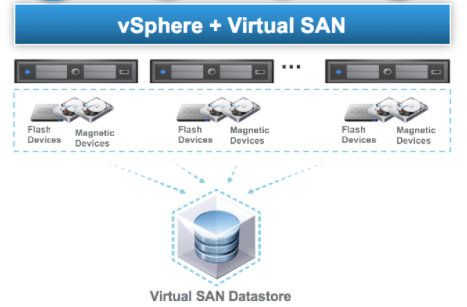 When working with VMware vSAN we need to create a cluster and enable vSAN ensuring we have a minimum of 3 ESXi hosts contributing local storage running with at least ESXi 5.5 version or later.All ESXi hosts must be managed by vCenter Server and configured as a Virtual SAN cluster member.ESXi hosts in a VSAN cluster should not participate in any other cluster last but not the least a VMKernel Port on each host dedicated for VSAN traffic. We have already seen three important resources being Virtualized in our data center environment now it’s time to talk about another important component i.e Network, with VMware NSX we can leverages the underlying VMware vSphere platform and provides Network Virtualization platform to make use of Logical Networks. 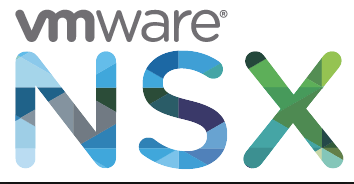 VMware NSX help us to remove the limit of VM communication which we see when working with VMware vSphere wherein we can not make VM’s defined with different VLAN ID’s will to communicate with any VM’s other than the one which are connected on the same host and on the same Port Group. VMware NSX use a broader approach of VM communication across hosts, clusters and datacenter by using VXLAN’s which further removes any trunking dependency from the underlying Physical Network. VMware NSX provides Network and Security services like Logical Switching, Logical Routing, Logical Firewall, Logical Load Balancing, NAT, DHCP and VPN Services. When working with NSX we have to consider the various plane including Data Plane (NSX Switch and kernel modules) that helps in abstracting the physical network layer and provide various kernel modules including VXLAN, second in the list is the control plane which is provided with the help of NSX controller for logical routing and logical switching functions, another important layer to consider is management plane aka NSX Manager which provides us centralized management capabilities for managing various components of NSX.